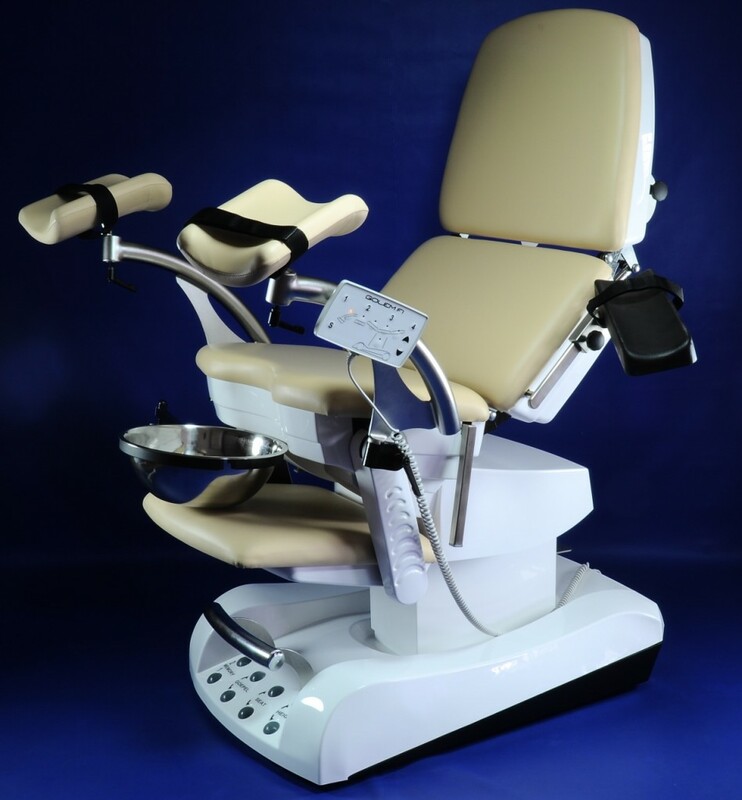 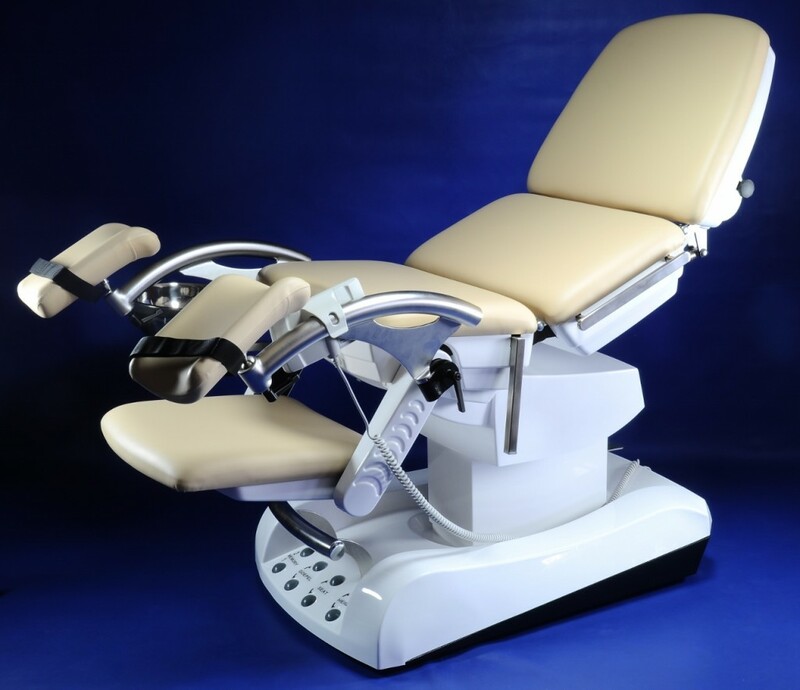 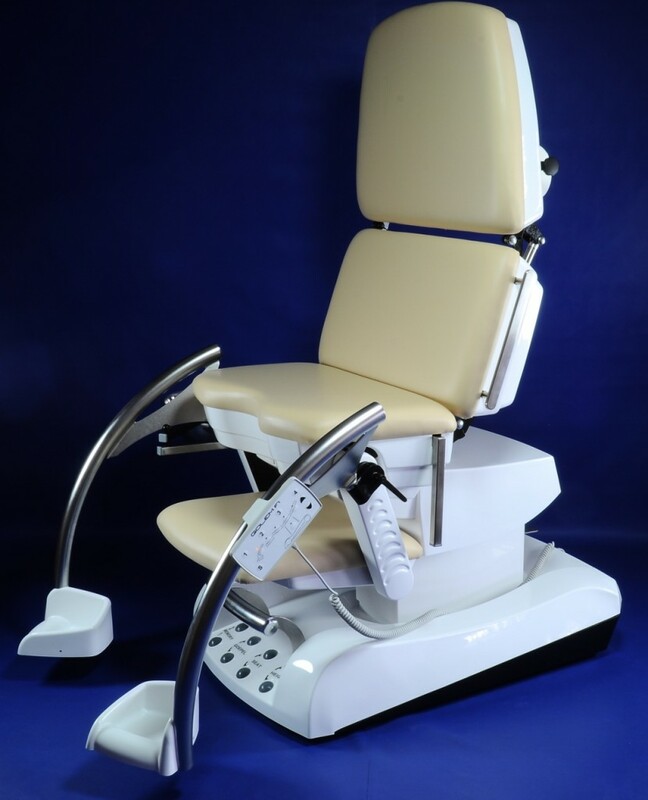 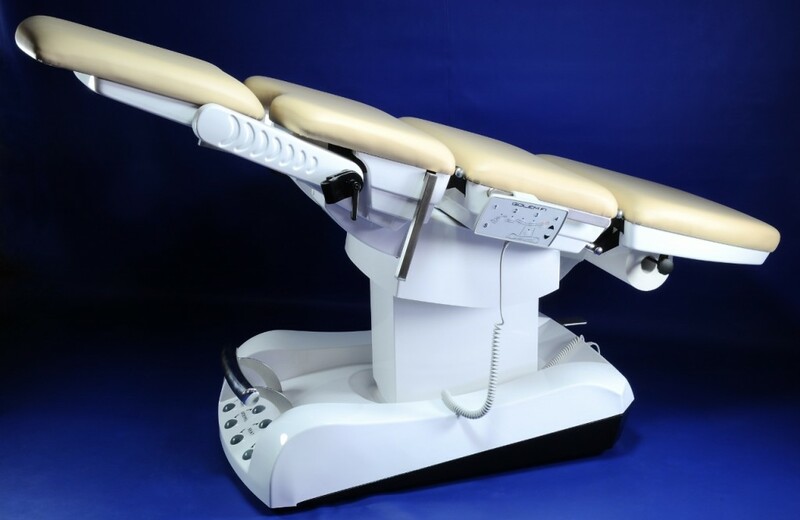 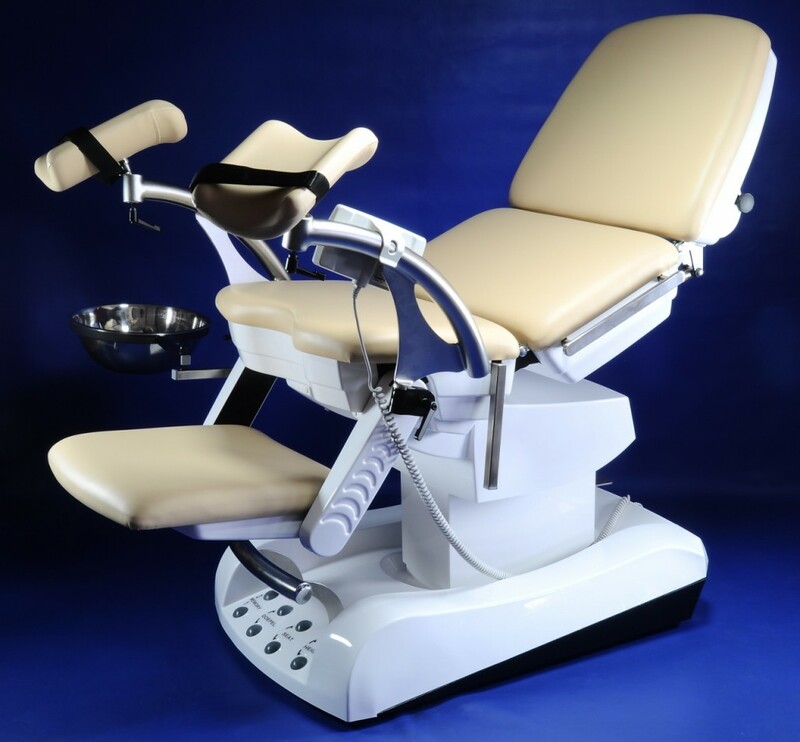 Gynaecological chair Golem F1 is first table which connects resourceful and impressive design with top-class functions. You can use it in standart gyneacology office as well for IVF treatments. 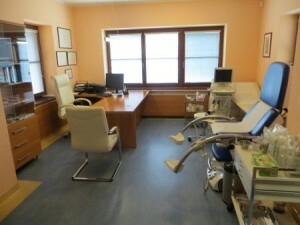 Together it gives satisfaction for all Your request, is carefully for patients, make Your work easier and faster. 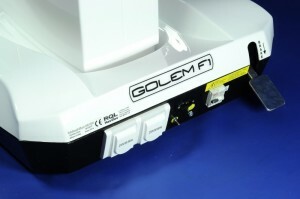 Moreover Golem F1 looks really great. Complete adjustable of all segments by 6 electromotors: height adjustable, trendelenburg, back segment, head segment, leg segment and foot support. Full synchronic adjustable of all positions in same time with full-load: starting position, gyneacology examining position, examining of ultrasonograph including vaginal sonde, lying position. 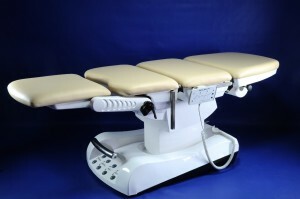 There are 4 memories to save most useable positions for your comfort. Low starting high only 650 mm provide for enter on table without step. Modern foot supports which makes possible to sit patient, put legs to support on the floor, flowing changeover to examination gyneacology position effortlessly! 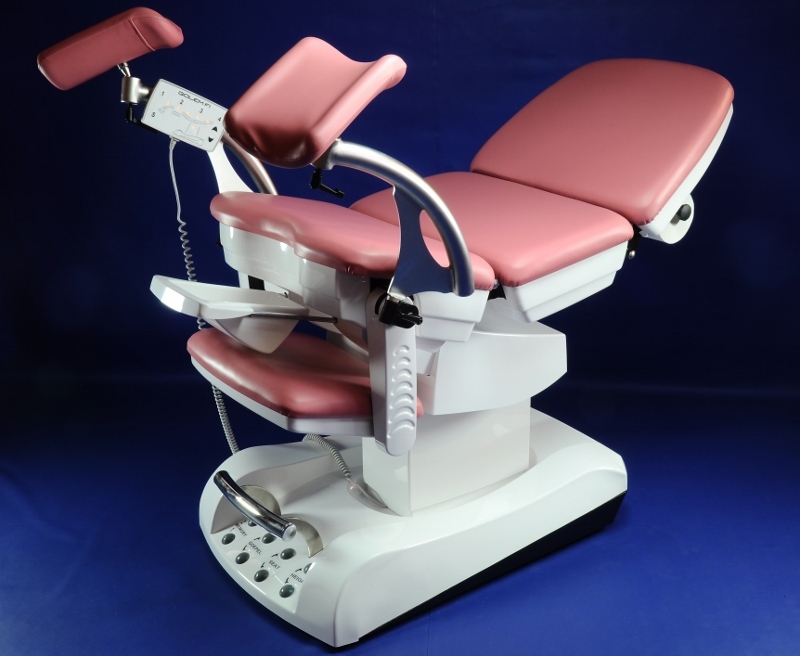 Form and position of foot support is appropriate to patient of each weight and height. Control of all motors by transparent hand-control, currently can be most use functions control by leg-pedals. All parts are covering by black or white plastic covers with high brightness and UV filter. 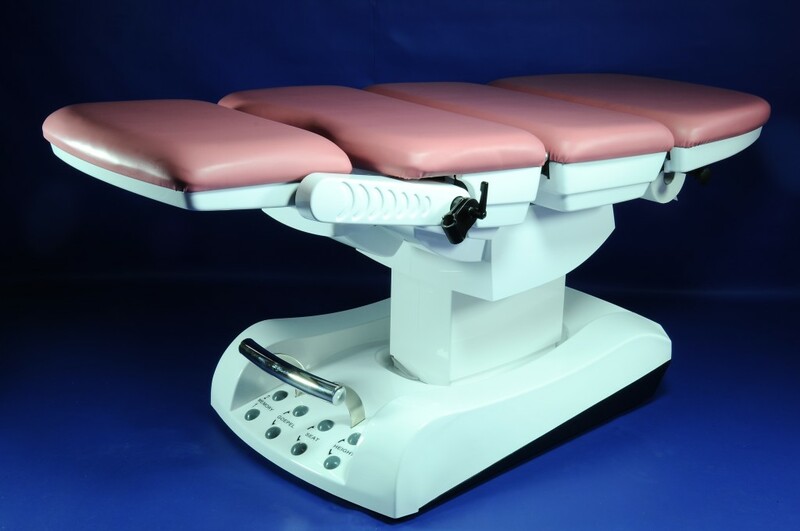 Non-seam and detachable upholstery in colour of your choice. 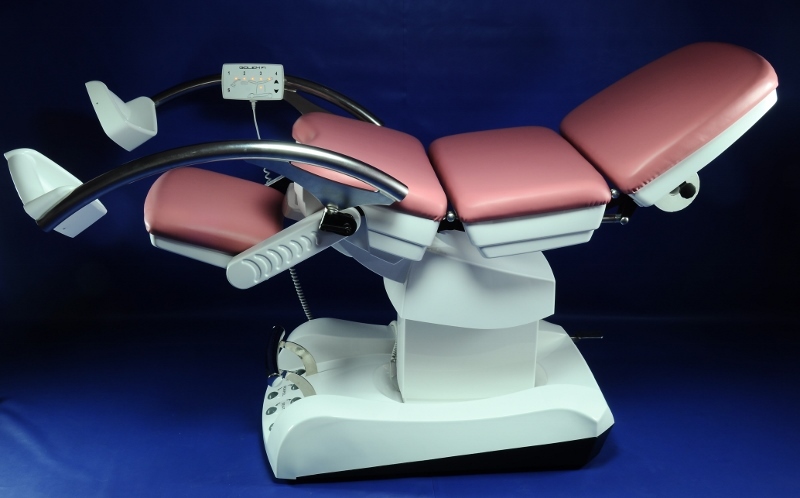 Two plugs 230 V for use of external electric units, inbuilt breaker with protector for safety of staff and pacients. 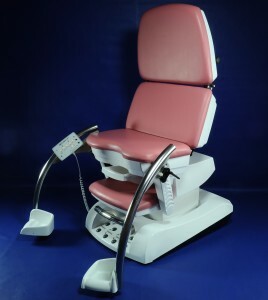 Inbuilt transformator for halogen lamp. 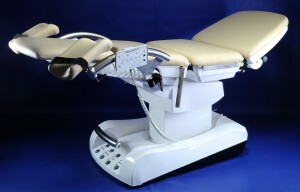 Table has quality wheels with central brake. 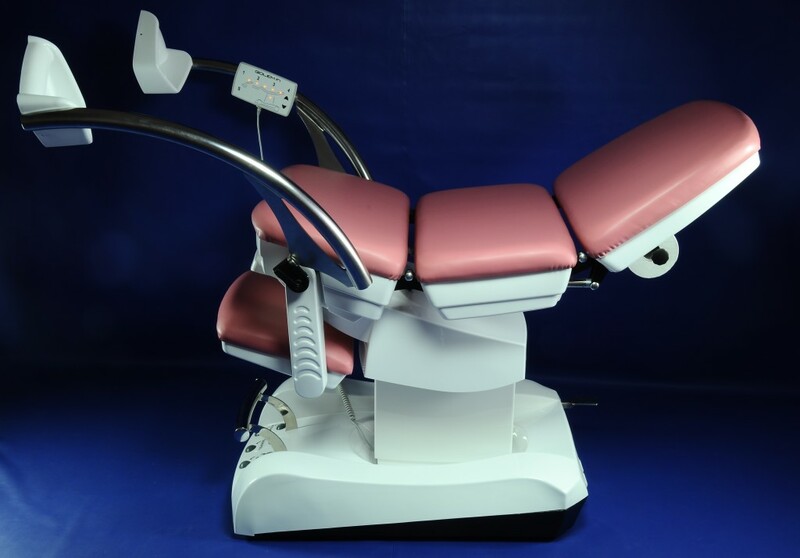 6 electromotors, 4 memories of positions, foot supports, removable plastic bowl, holder of paper roll, step for doctor, reserve-battery for emergency operation, 2 plugs 230 V for use of external electric units, hand control and leg pedals, remote control of central switch on/off. 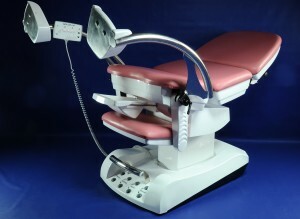 Working area has width 600 mm. 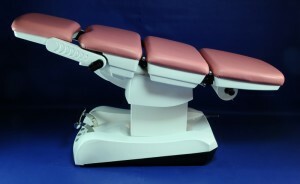 Complete length of area is 1 700 mm in lying position. Length of segments: leg 400 mm, seat 400 mm, back 400 mm, head 500 mm. Height adjustable by electromotor 650 – 950 mm. 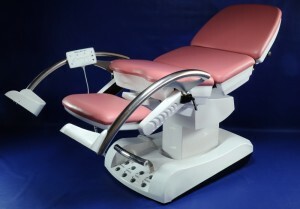 Trendelenburg adjustable by electromotor 0°- 20°. Back segment adjustable by electromotor 0°- 75°. 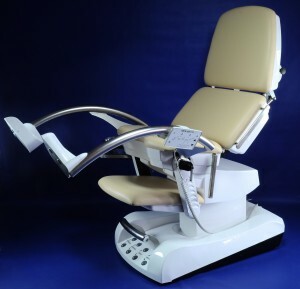 Head segment adjustable by electromotor – 20° + 50°. Leg supports adjustable by electromotors from floor to examining position. Required place for table 800 x 1 500 mm (in seating position)/1 700 mm (in lying position). Table has four rotation double wheels with diameter 75 mm with central brake.